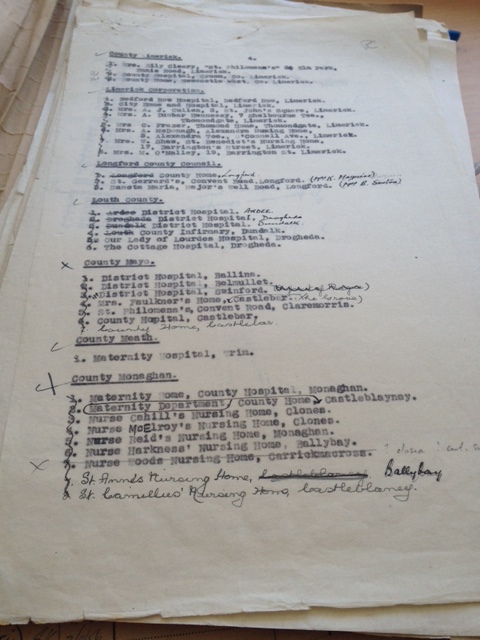 MATERNITY HOMES OF the past have recently hit the headlines, with an inquiry now underway into mother and baby homes. 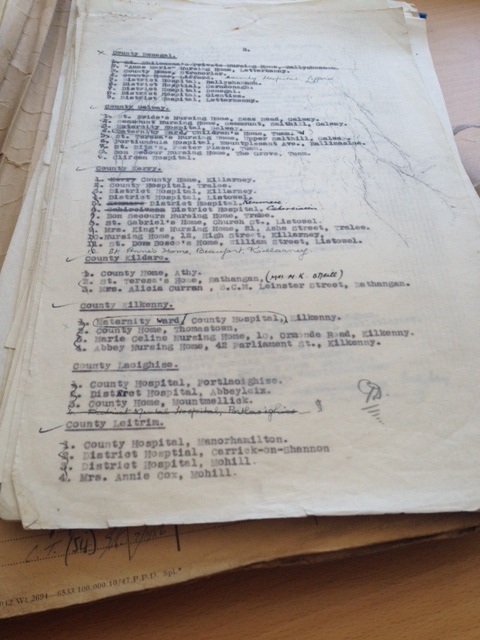 A number of state files were recalled from the National Archives by the Department of Health following the revelations about the deaths of almost 800 children at a mother and baby home in Tuam. The department states that the documents were recalled for the Commission of Investigation that was announced by the Minister for Justice Frances Fitzgerald. 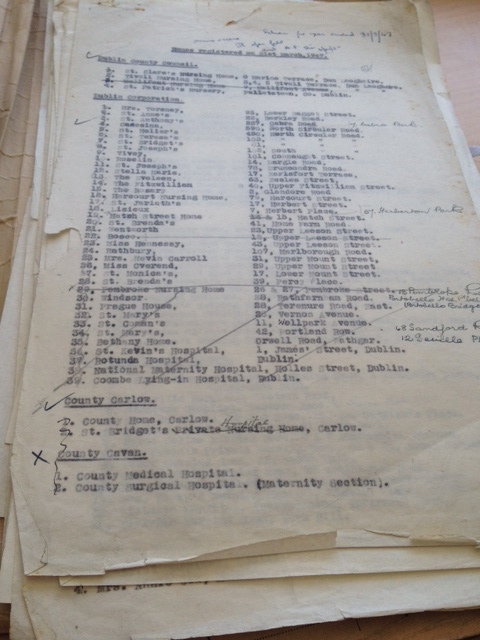 The documents recently recalled by the department include the registration documents of maternity homes for the years ending 1953, 1952, 1951, 1950, 1948-50, 1946-49, and maternity home exemptions 1946-47. 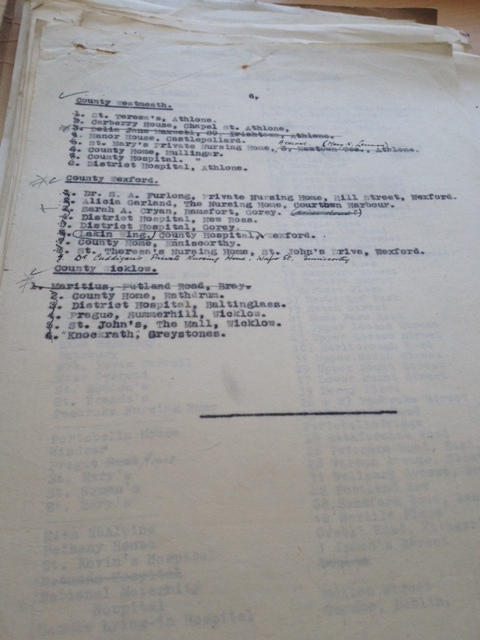 Email “Here's a list of maternity homes in Ireland in 1947”. 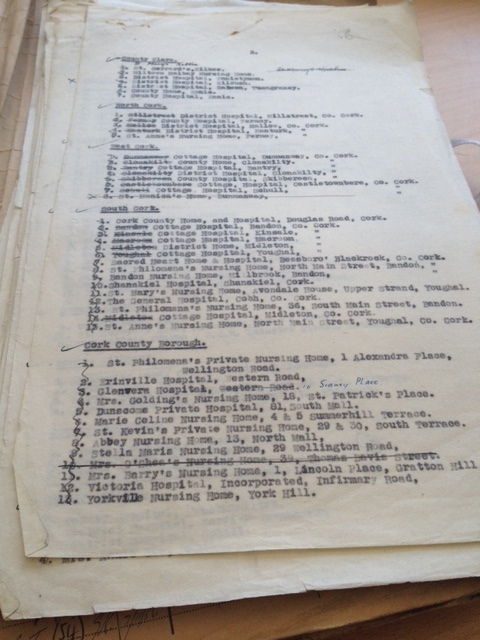 Feedback on “Here's a list of maternity homes in Ireland in 1947”.